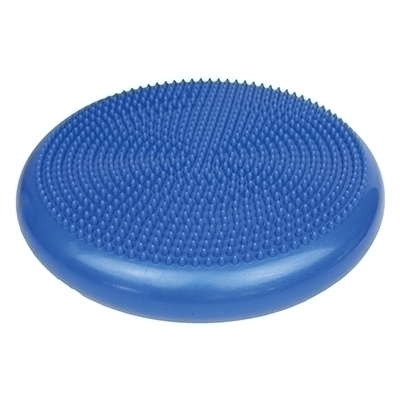 CanDo inflatable vestibular disc mimics the movement and shape of an Inflatable ball when used on any seat. 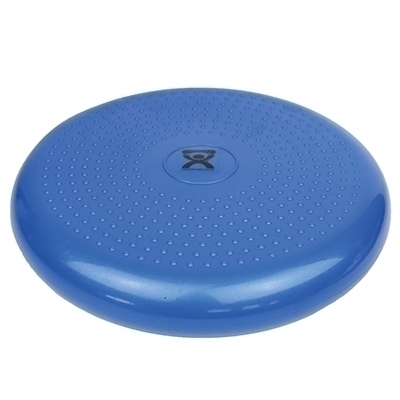 Use it on the floor as a standing disc for balance training, proprioception and strengthening of the lower extremities. Each disc has one nubby side for tactile feedback and stimulation, and one flat side. Disc inflates and deflates with standard pump. Vary the inflation level to change the level of vestibular challenge. Available in 5 colors for aesthetic purposes and two sizes: 14 inch (35 cm) and 24 inch (60 cm).